I remember when I found out that I was pregnant for the very first time. It was so surreal. It was something that I had been waiting my entire life for. As soon as the reality of the situation kicked in, I realized that I had no idea what I should be doing or how I should be taking care of myself. Being pregnant can be an overwhelming time in your life. From what you can’t eat to what nutrients you need to increase for the baby it can be confusing. I remember wondering if I could take a hot bath, or if I would be able to continue to run while I was pregnant. It all comes down to educating yourself and asking questions to determine what you need to be doing when pregnant. 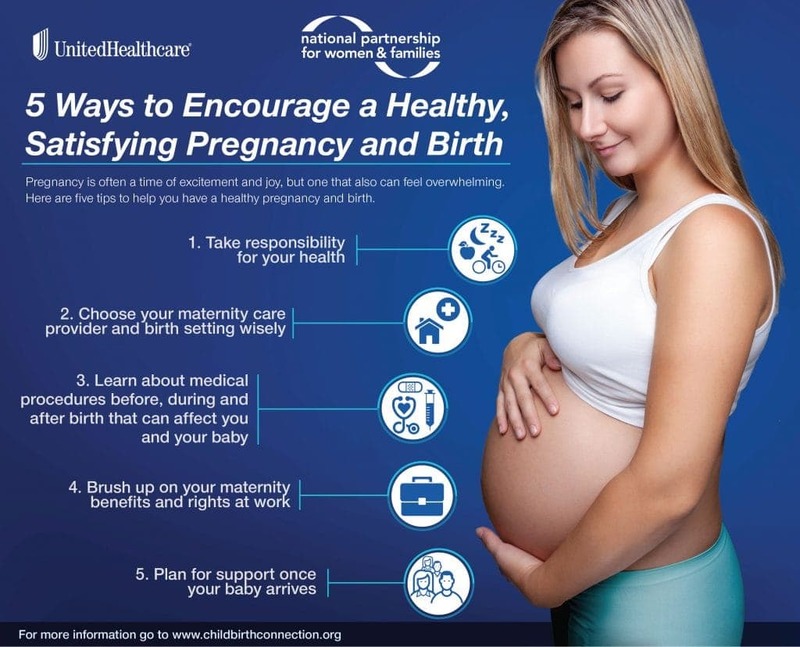 Here are some great tips for women who are pregnant or who may become pregnant to consider. I hope they help diminish some of the stress or anxiety that comes with pregnancy. Take responsibility for your health during pregnancy: This means eating well, staying active, getting rest and limiting stress as much as possible. Share your goals with your maternity care provider and ask for support and suggestions. Your health plan may have free programs and online services that will help you get and stay healthy throughout your pregnancy. Choose a maternity care provider and birth setting that best fits your needs: Where and with whom you give birth can have a major influence on the care you receive, your health, your baby’s health and your satisfaction with your childbearing experience. That’s why it is important to look for a maternity care provider and birth setting that meets your goals and preferences. More information on choosing a maternity care provider and birth setting is available at www.ChildbirthConnection.org/HealthyPregnancy. Learn what happens to your body before, during, and after pregnancy and childbirth – and how certain medical procedures can affect you: Understanding what is normal and healthy when it comes to pregnancy and childbirth can help you identify potential concerns and make informed decisions about your maternity care. The American College of Obstetricians and Gynecologists (ACOG) advises against elective deliveries before 39 weeks of pregnancy, including cesarean sections unless medically necessary. Get ideas for discussing your preferences with your maternity care provider in advance at www.ChildbirthConnection.org/GivingBirth. Know your maternity benefits and rights at work: If you work full time and plan to return to your job after your baby is born, it is helpful to know your company’s maternity leave policy so you and your family are prepared. The Family and Medical Leave Act (FMLA) enables mothers and fathers who have worked at least one year for a company with 50 or more employees to take up to 12 weeks of unpaid time off, while many employers offer full or partial paid leave. Under the law, you are also guaranteed to get your job back after your leave. 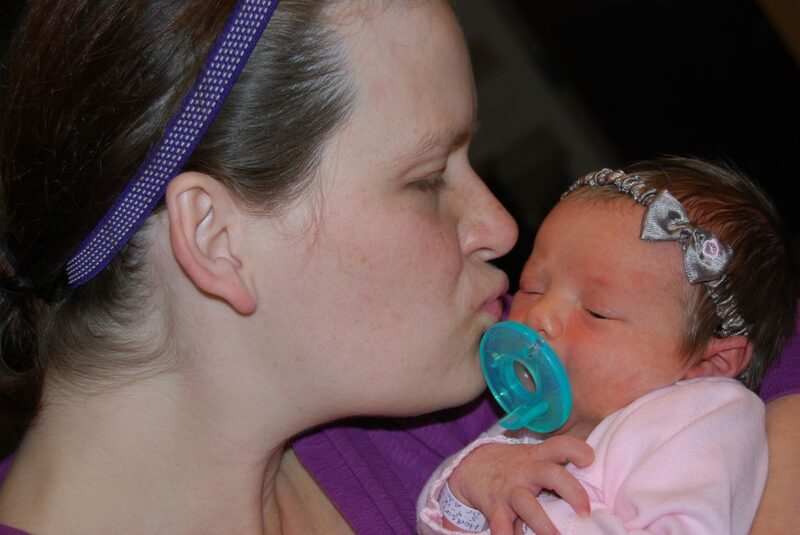 Plan for support once your baby arrives: Life with a new baby is a big adjustment, and it’s okay to ask for help. If you are planning to breastfeed, start learning what it entails and what support you might need to get off to a good start. For example, you may want to ask if your birth setting has an on-site lactation consultant. You may want to take a breastfeeding class to build your skills and confidence. Be sure to call your maternity care provider if you have problems breastfeeding, or other unexpected difficulties, when you’re home with your new baby. Pregnancy is a very important time in your life. Make sure that you are taking the steps to care for yourself and your baby. Most of all, try to relax and enjoy this time!